If someone had told me that I would be creating web sites when I entered teaching, I would have definitely thought them to be slightly mad! However this was the focus on today's session with a focus on how to build our own Google sites. The first part of the day had the cohort really focusing on what does "learning" mean for us in our school environments. 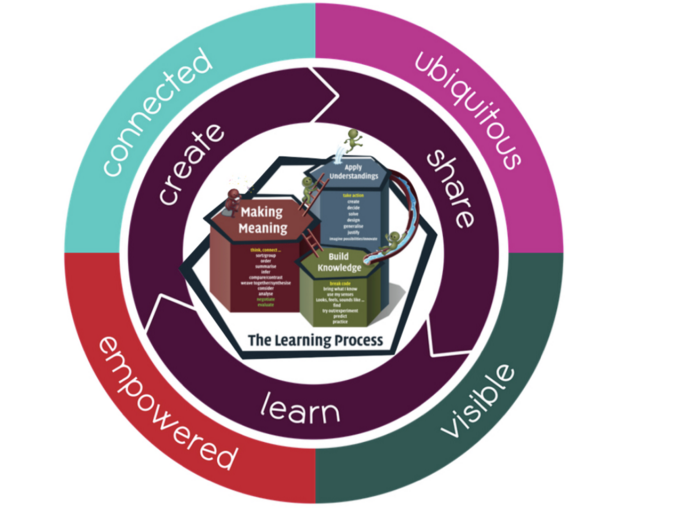 The below graphic shows what Stonefields School work on and this resonated with me as I am currently building my knowledge in the learning process as a Term One Professional Goal - there will be a blog post to update you on this coming shortly! We were also fortunate to have Caleb Allison from the first MDTA cohort come and present a provocation to us about building critical thinking in our learners. This will form the basis for our first collaborative assignment as we work to build a tool to help him develop these skills within his Year 9 social studies classes with a focus on current events. Sounds like an exciting challenge and again I can guarantee I will be blogging about that too. The rest of the day was spent learning the basic skills of creating and designing Google Sites - we all created a "sandpit" site where we could experiment with the different features and get a better understanding of the tool. This is a very important tool to understand as the majority of our schools use this format to share information with not only our learners and our colleagues but our families and communities. 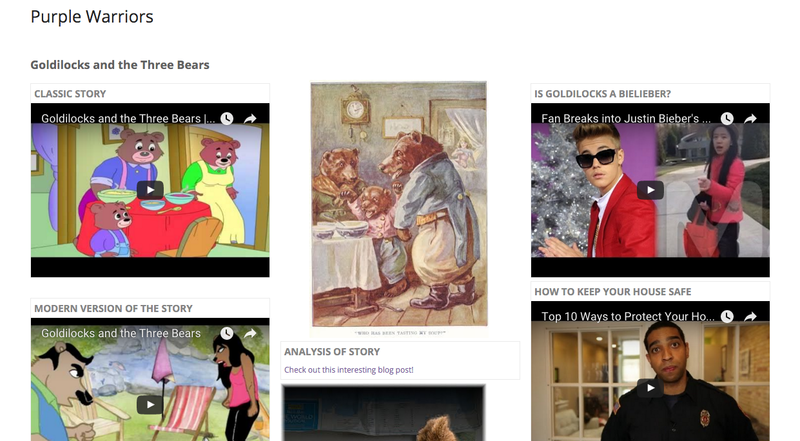 In the afternoon, we had the opportunity to build a quick multi-modal site for students to explore popular fairy stories. The concept of being multi-modal can be connected with Gardner's theory of Multiple Intelligences. This recognises that our learners all learn in unique ways so we need to find ways to engage with them and by making the site multi-modal, this can allow learners to participate in various activities to generate interest and gain perspectives from various parties. I chose "Goldilocks and the Three Bears" and was tasked with finding six various forms of resources to help to stretch learners to look at the story from various perspectives. There were some modern takes on the story with the porridge being replaced with devices or phones and I even put in a link where learners could discuss whether or not they thought that the bears were actually living in a safe environment and if there was anything else they could do to prevent this happening again. While there is a rich resource of material online in the forms of images and videos, we were reminded to not shy away from text as this will help build those fundamental literacy skills. I walked away from the session absolutely shattered however also empowered to think about how I can use this resource to benefit the changing needs of my learners. I have enjoyed reading your insights Heath and look froward to your post on Stonefields Learning Process. It was a big day of learning for you all and I was super impressed when I offered you all an 'out' option and y'all chose to push on with more on a Friday afternoon. I must confess I was equally shattered :) I love the way you all think and are prepared to stretch our collective understanding. Thanks Dorothy, especially for leading the session! I can imagine that you would have been as equally shattered!